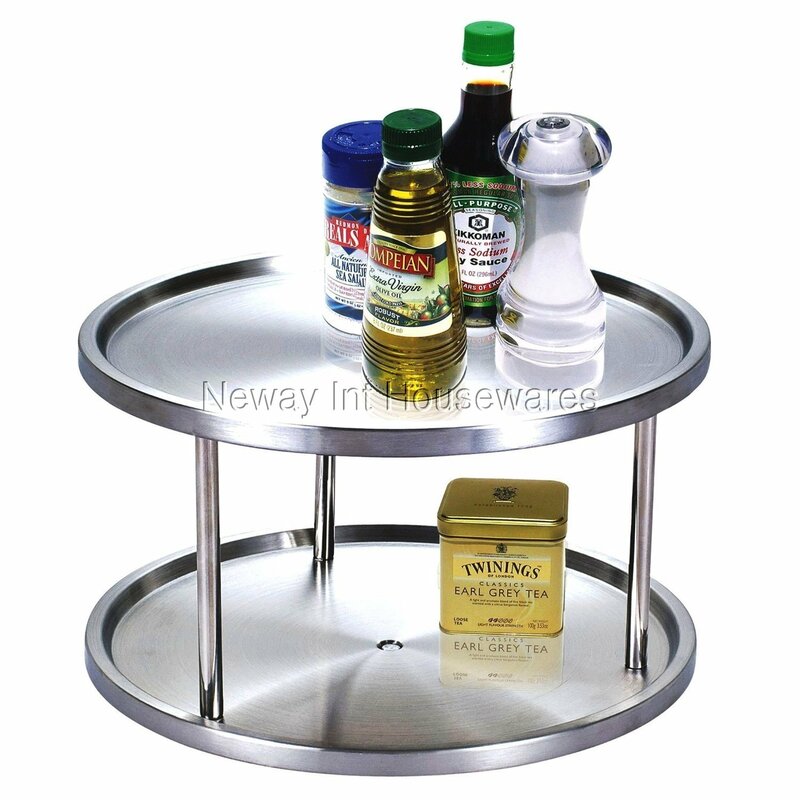 The Cook N Home 10.5-Inch 2 Tier Lazy Susan, Stainless Steel is made of brushed stainless steel for durability and prevents finger prints. The lazy susan fully spins and can be put in cabinets or on counters. Nonskid feet and raised rim prevents items from falling off. Stores seasonings, herbs, spices, etc. Measures 10.5 inch diameter and 7 inch height. To assemble: un-screw screws in legs, screw legs into upper plate, and attach and screw bottom plate. Wipe with cloth to clean.